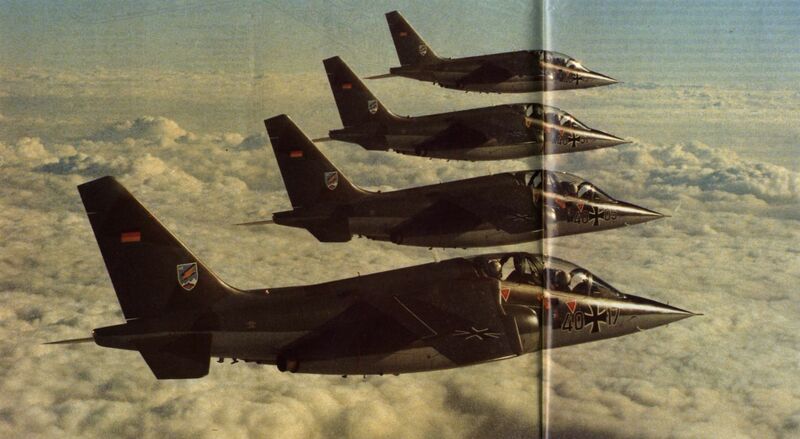 Four Alpha Jet As of Jabo G 49, the first of three Luftwaffe Geschwader that now operate the type in Germany. 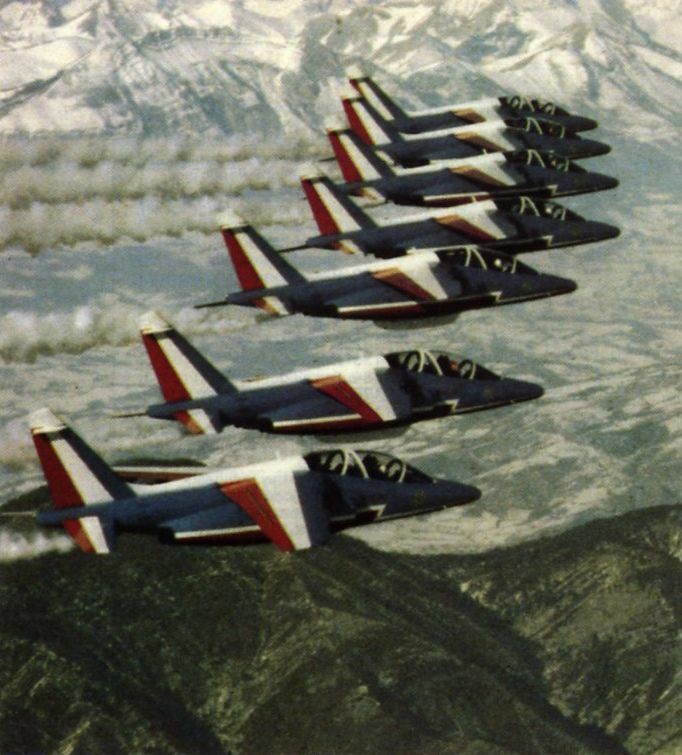 The Patrouille Acrobatique de France at Salon de Provence has been flying Alpha Jet Es since 1979. A pair of Alpha Jet MS.2s for Egypt, which has ordered 15 of this variant plus 30 MS.1s, with all but the first four of each type to be assembled and part-manufactured by the AOI at Helwan. 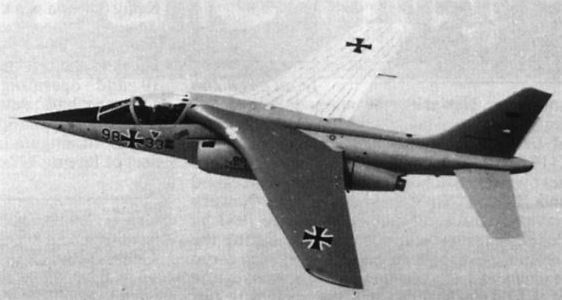 The Dornier-developed Transsonischer Tragfiugel (TST) supercritical wing has been test flown on this Alpha Jet, although only for research purposes. 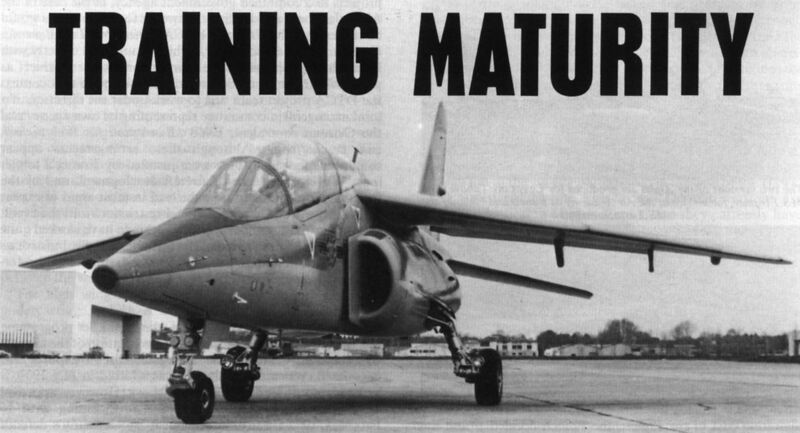 The third of a batch of 12 Alpha Jets ordered by Nigeria for delivery in 1981, from the Dornier assembly line in Germany. A second batch of 12 was ordered in 1983. 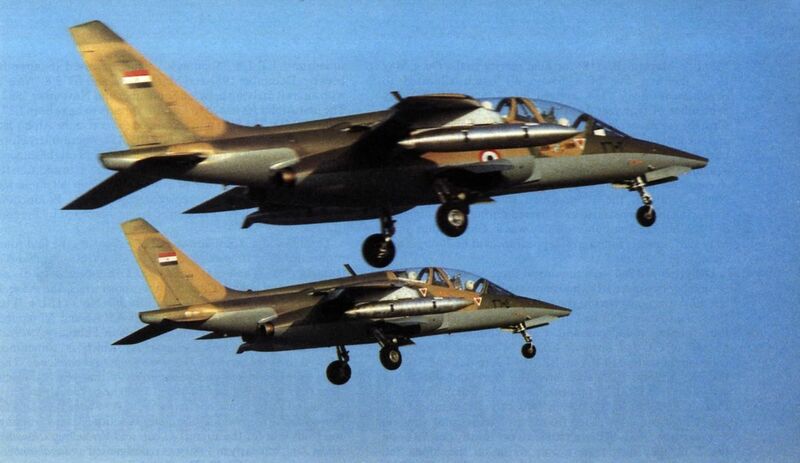 The two versions of the Alpha Jet produced for Egypt are (shown) the MS.1 trainer, for service at the Air Academy at Bilbeisand and the MS.2 attack variant. 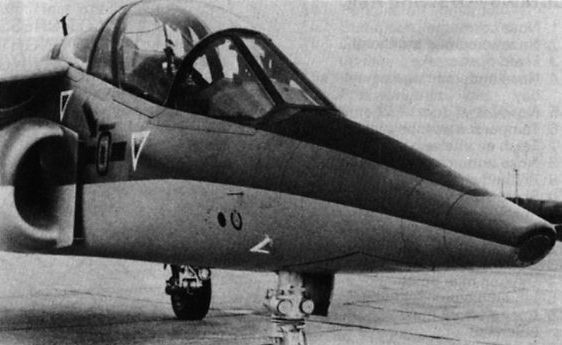 The two versions of the Alpha Jet produced for Egypt are the MS.1 trainer, for service at the Air Academy at Bilbeisand and (shown) the MS.2 attack variant. The first four Alpha Jet MS.2s for Egypt ready for departure from Toulouse-Colomiers on 22 November 1983. 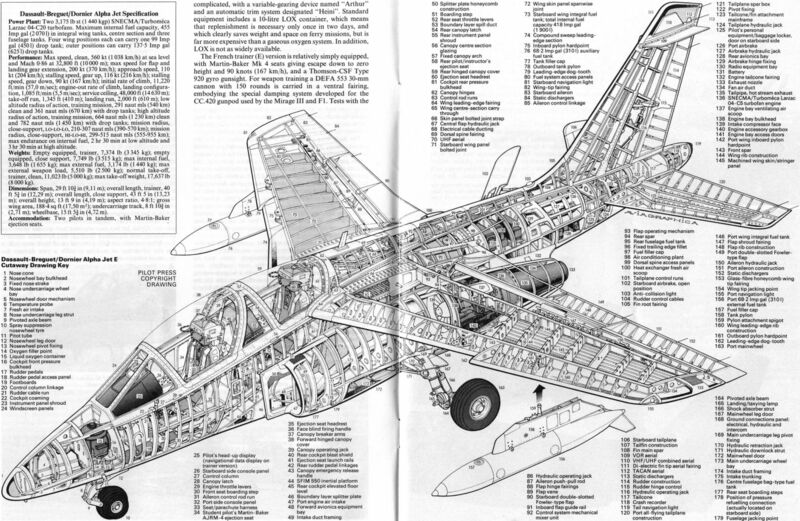 This NGEA variant is distinguished by the Thomson-CSF TMV-630 laser ranger in the nose.